Found in the provinces of Davao del Norte and Compostela Valley, the tribe of Mansaka specifically dwells in the areas of Manat Valley, the Marasugan Valley, the Hijo River Valley, and the seacoasts of Kingking, Maco, Kwambog, Hijo, Tagum, Libuganon, Tuganay, Ising, and Panabo. The etymology of the name “Mansaka” is derived from the words “man” meaning “first” and “saka” meaning “to ascend”. 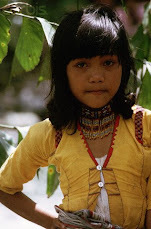 Therefore, Mansaka means “the first people to ascend the mountains or go upstream”.Generally with fair with bridged noses, brown hair, and oval faces, some scholars have classified the Mansaka as a distinctive subgroup of Mandaya. In 1972 the population estimate of the Mansaka was around 4,000. The Mandaya-Mansaka group of languages is often classified under the Manuvu linguistic group. This includes the dialects of the Tagacaolo of Davao del Sur, Davaoeno of Davao City, Mansaka or Mandaya of Davao del Norte, and Isamal of Samal Island, linguistically speaking.Gwendalene Ting, in her article Mansaka, discussed the racial development of the Mandaya-Mansaka which progressed in three phases. 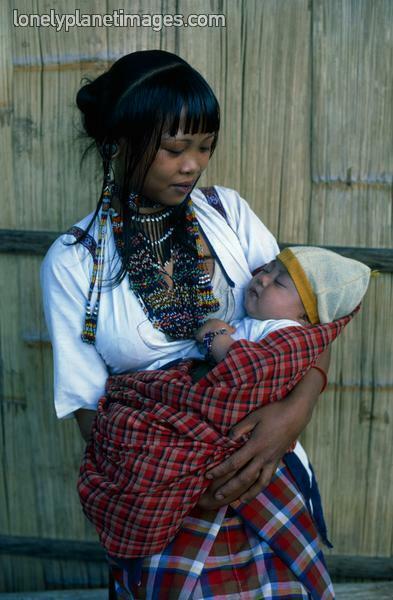 When the Indonesians came and intermarried with the native women from 3000 to 500 BC, it created the Manobo community. Afterwhich, the Malays again intermarried with the Manobos from 300 to 200 BC and produced the Mandaya-Mansaka. The Chinese further contributed to the racial and cultural development of the Mandaya-Mansaka as they arrived in the 13th Century.Another article about the Mansaka Tribe by Bernardo Limikid describes the members of the tribe as farming people. Particularly in farming, they are scrupulous in the management of their economic activities on whether when and where their farms will be established. A tribal war results when they go and farm to the territory of another tribe which causes death to many members. The resolution of any problem and building new relationships are the responsibility of each tribal leader.Members to manage the farms were assigned by the community. Tasked with the tilling of the land and other farm related jobs were men. To maintain the fertility of the land and prevent soil erosion, they do not farm on the same area again and again. On the other hand, women are the ones who produce clothes and mats. Also, they help during planting, weeding and harvesting seasons in the farm.The baylan or ritual practitioner performs rituals during the planting and harvesting seasons. This is done to drive away the evil spirits and pests that may damage their plants and to ask the Magbabaya or creator for bountiful harvests.Merrymaking is usually done during their time of harvest. The pyagsawitan is their first meal from their farm produce. Again, a ceremony is performed with families and neighbors, bringing wine and food, to offer their harvest to Magbabaya. Tribal dances, singing and playing of indigenous instruments were performed during the ceremonies. All guests, at the end of the ceremonies, must leave with something from the farm produce.Another mode of living of the Mansaka tribe is by hunting. Shared among the community members are caught wild pigs, deer, birds and other animals. Fishing were done under observed rules as it is only limited to one’s territory.The religious life of the Mansaka is basically guided by their gods. 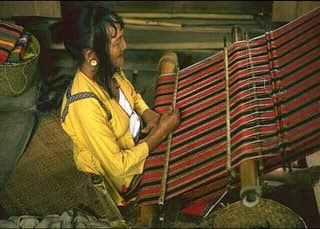 The domestic gods of the tribe are called Mansaka Manaog. They are represented by wooden statues placed on a pedestal or parangka. The representation is only 30 cm in length. The manaog of the baylan are become black from the smoke as it is placed on the ceiling near the kitchen. On the other hand, the political and economic life of the Mansaka tribe is principally determined by the matikadong or tribal elders who are also tribal warriors or bagani. A bagani is called a tribal warrior because of his capability to fight and shield the tribe. 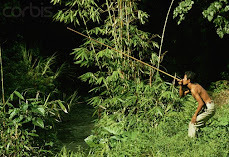 A number of 12 people should at least be killed in order to assume position.The Mansaka tribe is also fond of making dagmay or abaca cloth. Making a dagmay using traditional method is said to be extraordinary and tiring. Among the designs of dagmay include squares, human forms, laron na opat (crocodiles) and dots. They also make baskets, pots and brassware not only as a form of art but also used as containers.The Indigenous peoples of the Philippines, like the Mansaka tribe, are constantly decreasing because of modernization and globalization. Land issues were the primary problems by the Mansaka tribe as commercial and industrial establishments were built occupying their ancestral lands. It is therefore, the duty of the government of the Philippines to preserve these ancestral land so as the cultural groups in the Philippines. More so, studies in these communities should be further instigated by educational institutions to promote the richness of culture of the Philippines. hahaha.. ya robel. nice web..! .. i'm proud to be a mansaka..